David Callicott needs to be online to run his small company, GoodLight Natural Candles in San Francisco. Dozens of orders from wholesale customers like Whole Foods and Bed Bath & Beyond are relayed online each day to fulfillment warehouses, which send out Mr. Callicott’s paraffin-free candles. The GoodLight website accounts for 15 percent of its sales, which could reach $1.5 million this year; the e-commerce behemoth Amazon makes up another 10 percent. And many of the company’s business documents are stored in cloud-based data centers. Without those regulations, GoodLight and other smaller businesses fear they may not have a level digital playing field to compete against deep-pocketed industry giants that could pay to get an edge online. For small businesses, a rollback could fundamentally change how, and whether, they do business. Many started online or turned to e-commerce to expand their thin margins. In August, the American Sustainable Business Council and other small business groups published an open letter to the F.C.C. on behalf of more than 500 small businesses in the country. Weakening or undoing net neutrality protections would be “disastrous” for American businesses, according to the letter. “The open internet has made it possible for us to rely on a free market where each of us has the chance to bring our best business ideas to the world without interference or seeking permission from any gatekeeper first,” the groups wrote. Many entrepreneurs worried that, without net neutrality provisions, internet providers would wield their increased power to control how businesses reach consumers. Online consumers are a demanding crowd. Research from a Google subsidiary suggested that visitors who have to wait more than 3 seconds for a mobile site to load will abandon their search 53 percent of the time. Changes in net neutrality regulations could also affect the freelancers, franchisees and temporary workers who earn a living doing piecemeal work in the so-called gig economy. Nearly a quarter of American adults made money last year using digital platforms to take on a job or a task, selling something online or renting out their properties using a home-sharing site like Airbnb, according to the Pew Research Center. A pay-for-play internet system could also be problematic for Codecademy, an education company founded in 2011. Its services include courses on tech-related subjects like data analysis, website design and coding language — all conducted online. But Zach Sims, the company’s chief executive, said that students, many of whom are aspiring entrepreneurs, would suffer most. But it may be tough? Setting aside whether industry investments should be the dominant measure of success in internet policy (what about improved access for students? or the emergence of innovations like streaming TV? ), Mr. Pai is not examining the facts: Security and Exchange Commission filings reveal an increase in internet investments since 2015, as the internet advocacy group Free Press has demonstrated. .. with the Republican-majority FCC likely to vote on December 14 in favor of rolling back the order, what might the American internet look like without net neutrality? Just look at Portugal. The country’s wireless carrier Meo offers a package that’s very different from those available in the US. Users pay for traditional “data” — and on top of that, they pay for additional packages based on the kind of data and apps they want to use. Really into messaging? Then pay €4.99 ($5.86 or £4.43) a month and get more data for apps like WhatsApp, Skype, and FaceTime. Prefer social networks like Facebook, Instagram, Snapchat, Messenger, and so on? That’ll be another €4.99 a month. Video apps like Netflix and YouTube are available as another add-on, while music (Spotify, SoundCloud, Google Play Music, etc.) is another, as is email and cloud (Gmail, Yahoo Mail, iCloud, etc.). Net-neutrality advocates argue that this kind of model is dangerous because it risks creating a two-tier system that harms competition — people will just use the big-name apps included in the bundles they pay for, while upstart challengers will be left out in the cold. For example: If you love watching videos, and Netflix is included in the video bundle but Hulu isn’t, you’re likely to try to save money by using only Netflix, making it harder for its competitors. And without net neutrality, big-name apps could theoretically even pay telecoms firms for preferential access, offering them money — and smaller companies just couldn’t compete with that. (It’s not clear whether any of the companies named above have paid for preferential access.) An ISP could even refuse to grant access to an app at all unless they paid up. Democratic Rep. Ro Khanna of California originally shared the Meo example on Twitter in October. 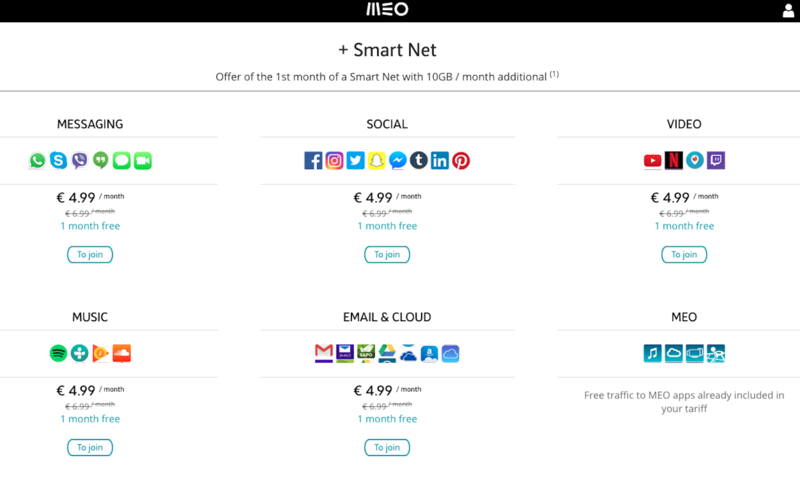 Technically, Portugal is bound by the European Union’s net-neutrality rules, but loopholes allow certain kinds of pricing schemes like the one outlined above. Getting Bad Things Done – On Trump, FCC, Net Neutrality, …. Simply put, Team Trump didn’t want the average American to have good information about what is fast becoming the defining feature of our 45th presidency: It doesn’t want the public to have good information. …The cloud of chaos emanating from 1600 Pennsylvania Avenue these days makes it easy to lose the big picture. .. But behind the smoke and mirrors, Trump World is getting stuff done — bad stuff, like the gutting of many major regulations that once protected our environment, or the toxic police-state culture created by “taking the gloves off” ICE enforcement agents or your local cops, or installing regressive judges across the land. But the defining feature of Donald Trump’s presidency is its all-encompassing war on the truth. The tactic is the stream of lies that the president spews — sometimes dozens in a week. But the broader strategy is equally alarming: Trump hopes to extend and expand his reign of dishonesty by remaking the media landscape with fewer. diminished sources of valid facts, elevating the handful of outlets that worship our Dear Leader (Sinclair, Fox) while seeking to destroy the credibility and reputation of everyone else. Trump’s big, bad idea is so universal it can embrace ideas that seem to be contradictions — until you look a little closer. How else to explain the fact that the FCC — controlled by a majority of pro-Trump commissioners — is, with its all-but-a-done-deal rollback of net neutrality, giving the gift of a lifetime to monster communication companies like Philadelphia-based Comcast, Verizon and AT&T. Yet at the same time Trump’s Justice Department seems to be taking an anti-big-business stance in opposing the planned merger of AT&T and Time-Warner without the spin-off of key assets like Time-Warner’s CNN, the bete noir of Trump’s rabid fan base. But a thousand Alabamas and a thousand Roy Moores will blossom across America’s political landscape in an era when the flow of information is even more tightly controlled by a handful of powerful corporations who can and will be bullied and intimidated by the White House. It’s critical for the future of American free speech and democracy that the net neutrality rollback be stopped, but with the rubber-stamp FCC preparing to vote on Dec. 14, there are few good options and virtually no time to stop this dictator move. The war on factual information and the truth is repulsive, but it’s not the most outrageous thing about the Trump presidency. The most outrageous thing is that Trump is winning. Trump’s Justice Department seems to be sending a chilling message to rank-and-file journalists — and especially alternative journalists on the left more likely to be critical of the president — by its shocking decision to pursue felony “rioting” charges that could lead to a 10-year prison sentence for a Texas photojournalist named Alexei Wood. Wood covered a destructive melee on Trump’s inauguration day and his apparent “crime” was going “wooo” as he filmed an act of vandalism, not very smart but not anywhere near the ballpark of criminality. These official acts come against a constant drumbeat from Trump seeking to delegitimatize journalism and the First Amendment at least in the eyes of his own supporters, calling hard-working reporters “the enemy of the American people,” threatening to relax libel laws amid the dream of forcing more outlets to go out of business like Gawker, and disrupting the news cycle with increasingly off-his-meds 6 a.m. tweets. Net neutrality fraudsters likely impersonated “hundreds of thousands” of people. New York’s attorney general has been trying to investigate fraud in public comments on the Federal Communications Commission’s anti-net neutrality plan but alleges that the FCC has refused to cooperate with the investigation. [T]he process the FCC has employed to consider potentially sweeping alterations to current net neutrality rules has been corrupted by the fraudulent use of Americans’ identities — and the FCC has been unwilling to assist my office in our efforts to investigate this unlawful activity. Specifically, for six months my office has been investigating who perpetrated a massive scheme to corrupt the FCC’s notice and comment process through the misuse of enormous numbers of real New Yorkers’ and other Americans’ identities. Such conduct likely violates state law—yet the FCC has refused multiple requests for crucial evidence in its sole possession that is vital to permit that law enforcement investigation to proceed. The FCC received 22 million comments on its plan to repeal net neutrality rules and deregulate broadband providers, but many were fraudulent. In May, some of the people who were impersonated by anti-net neutrality spammers asked the Federal Communications Commission to notify other victims of the impersonation and remove fraudulent comments from the net neutrality docket. But the FCC has seemingly taken no action to remove fraudulent comments or to prevent them from being filed. Nothing to see here folks, just normal government for big business, by big business, and all for the best democracy that money can buy. The stomach-churning love-fest between the American cable industry and FCC Ajit Pai continues apace with Big Cable now pillow talking the federal regulator into how to prevent individual US states forming their own net neutrality protections. Pai is expecting to call for a vote on dismantling net neutrality rules on December 14 – despite widespread opposition to the idea – but cable companies are worried that state legislators will simply write their own laws to effectively reintroduce them. And so, joining a determined campaign by cable giants Verizon and Comcast to lobby against such actions, the wireless comms trade association CTIA has joined the fray, sending a letter to the FCC informing it how it can usurp such state efforts. The CTIA even has its own simple anecdote to explain why it makes sense for the FCC to set the rules across the entire US: a train journey. The argument is, of course, gibberish: internet users pull content from all over the world every second of every day with it passing through hundreds of jurisdictions. And yet somehow the internet continues to function. How? Because internet traffic is not road or rail traffic. Whether Pai and the other FCC commissioners are able to see through such obvious, false manipulation or get seduced by the appeal to their own importance, we will have to see. Or perhaps the bigger question: how far is Pai willing to go to please the cable industry? And is he prepared to make a fool of himself doing so? Infatuation is a difficult thing to judge. The message was clear: The company just wanted negative stories to stop. It didn’t really care how the data was used. Facebook knows what you look like, your location, who your friends are, your interests, if you’re in a relationship or not, and what other pages you look at on the web. This data allows advertisers to target the more than one billion Facebook visitors a day. It’s no wonder the company has ballooned in size to a $500 billion behemoth in the five years since its I.P.O. For a few years, Facebook’s developer platform hosted a thriving ecosystem of popular social games. Remember the age of Farmville and Candy Crush? The premise was simple: Users agreed to give game developers access to their data in exchange for free use of addictive games. In one instance, a developer appeared to be using Facebook data to automatically generate profiles of children, without their consent. When I called the company responsible for the app, it claimed that Facebook’s policies on data use were not being violated, but we had no way to confirm whether that was true. Once data passed from the platform to a developer, Facebook had no view of the data or control over it. In other cases, developers asked for permission to get user data that their apps obviously didn’t need — such as a social game asking for all of your photos and messages. People rarely read permissions request forms carefully, so they often authorize access to sensitive information without realizing it. This makes for a dangerous mix: a company that reaches most of the country every day and has the most detailed set of personal data ever assembled, but has no incentive to prevent abuse. Facebook needs to be regulated more tightly, or broken up so that no single entity controls all of its data. The company won’t protect us by itself, and nothing less than our democracy is at stake. Indeed. And users, including businesses, need to get serious about privacy and the damage the likes of facebook are doing and flee Facebook and their ilk in droves. Will this happen? I doubt it. As long as it is free they will come. As the increased popularity of Alexa, and other personal assistants that listen in shows, people are continuing to invite these modern forms of big brother into their private lives.